The VA Jumbo loan down payment is structured a little different than a conventional jumbo loan down payment. If you’re a veteran, you have an ally on your team—the VA. With their help, the down payment on your dream home will be less than you ever thought possible. For veterans in the United States, a VA jumbo loan is a helpful tool when purchasing your dream home. 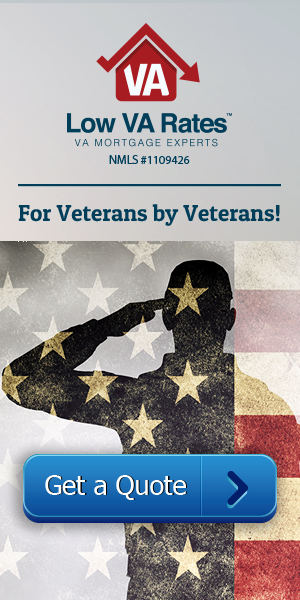 When looking into the VA jumbo loan, there are many different aspects to consider. A typical question is how the VA jumbo loan down payment works. In basic terms, a VA jumbo loan down payment is the amount of money that you give to the lender in order to borrow the remaining home loan amount. Ordinarily, no down payment is required through the VA, but that’s not true with VA jumbo loans. You can know how much you will be putting down on a house, with a simple formula. The down payment is 25 percent of the difference between your jumbo loan amount and the standard loan limit in the county where you are purchasing a home. In most counties in the United States, this limit is $417,000. For example, if you were to obtain a jumbo loan through the VA for $600,000 in a county with the regular limit you would need to pay 25 percent of $183,000 (the difference between $600,000 and $417,000). Your down payment would then be $45,750. In this case, this down payment is 7.6 percent of the total amount. This formula does not vary from loan to loan—it is a standardized part of the VA jumbo. Why a Down Payment, Anyway? When you pay a down payment, you do not get that money back. In other words, this process is not without risk. That’s why higher down payments are required for higher loans—there is more risk that the buyer will default, so the lenders require more money up front in order to lose less money in the case of a default. If this were to happen, both you and the lender would lose money. For that reason, the lender requires a down payment so that the buyer is less likely to default, or in other words, lose both the house and the money they used to pay for it. This is a greater incentive for the buyer to continue with the payments until the loan is paid in full. With this in mind, before venturing into this option, be sure that you are financially stable in order to not eventually lose the money that you have already paid. In comparison with down payments in jumbos not obtained through the VA, those that are acquired through the VA are significantly more beneficial to the customer. Most jumbo loans require a down payment that starts anywhere between 15 to 30 percent of the price of the loan. In the circumstance of a 20 percent down payment on a $600,000 home, you would be paying $120,000 instead of the $45,750 that you would pay through the VA (much, much less). In addition to this, with the VA, there is no PMI, or private mortgage insurance, which is usually included in a standard jumbo loan. This also saves veterans a significant amount of money in the purchase of their homes. Make it Easier on Yourself In addition to the 25 percent rule, it’s almost always beneficial to make a higher down payment than what the VA requires. If you are able to pay more than the necessary 25 percent, do it. The higher the down payment, the easier it is to get approval on the loan. It is a sign to lenders that you already have good financial habits that they can trust. Because a higher down payment means the amount you are initially borrowing is lower, it also means that you have lower monthly payments. This decreases the extended stress of paying for your home. The less you have to pay, the faster you’ll pay it off, meaning you will be making house payments for a shorter amount of time. It’s always good to go a step further than what is required, since it brings your desired results quicker. If the VA Jumbo loan seems like your best option, look into it. Do your research, and with a good understanding of your financial situation, you can purchase a house at a price that works best for you.